An bio-spired asymmetric triblock polypeptide is genetically designed and produced in order to study the hybrid network. One end block can bind to negatively charged molecules, DNA, while another end block can self-assemble. 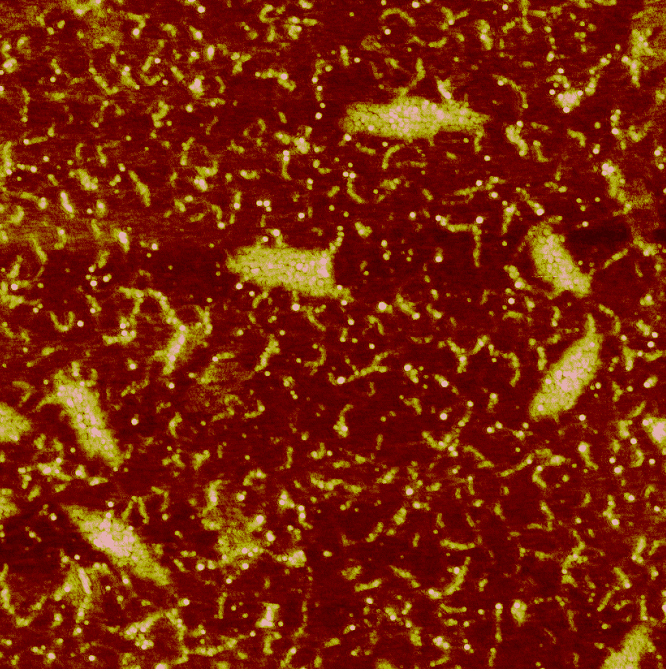 The image displays the condensation of DNA /polypeptide complex when triggering the self assembly of another end block.